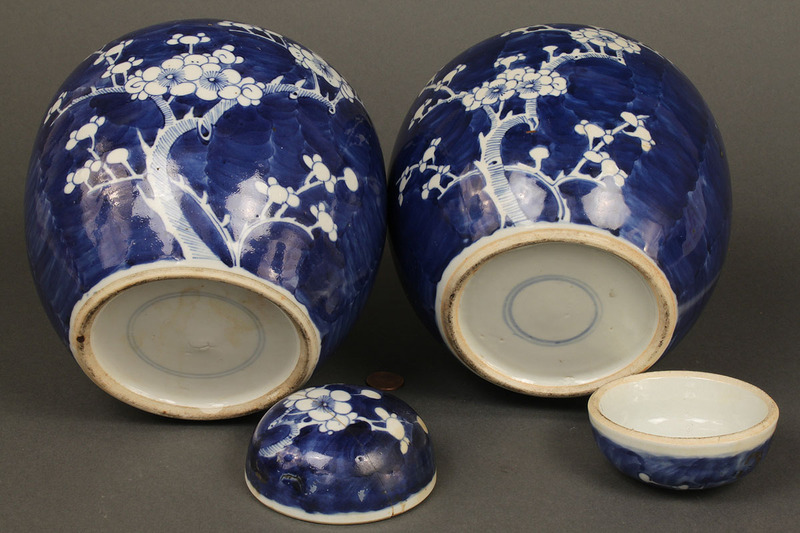 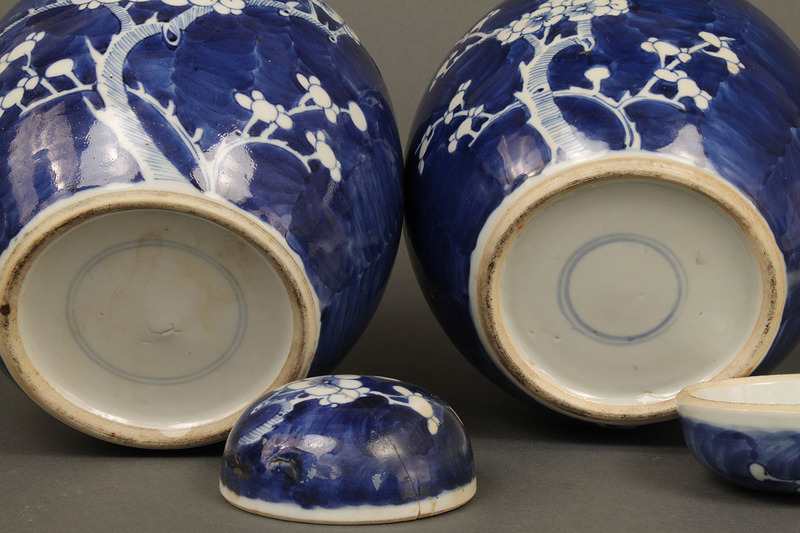 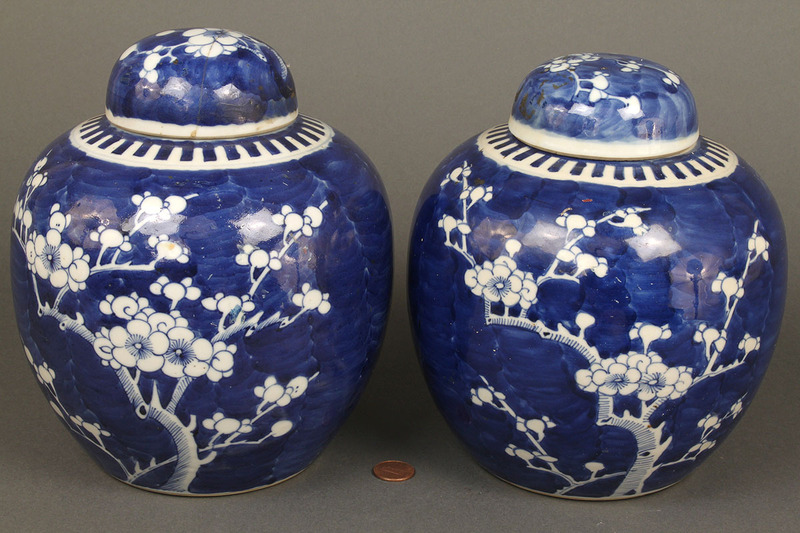 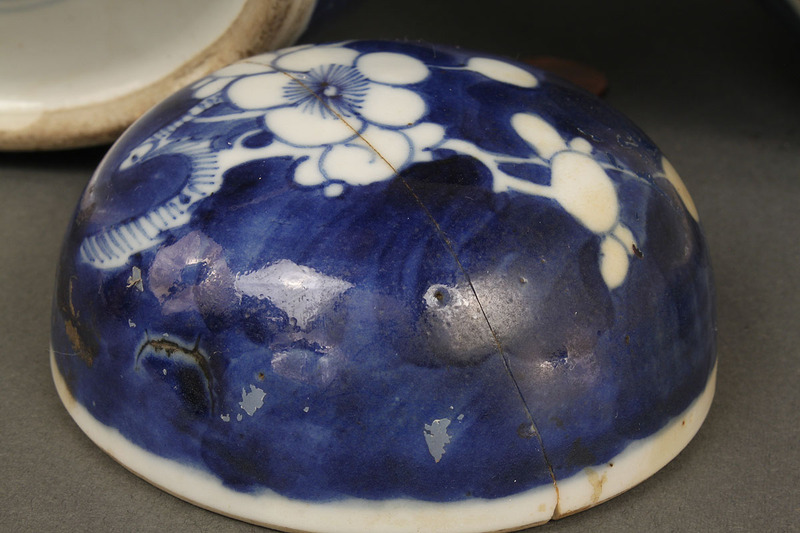 Pair of Chinese 19th c." Hawthorne" Ginger Jars, base marked with double concentric circles. 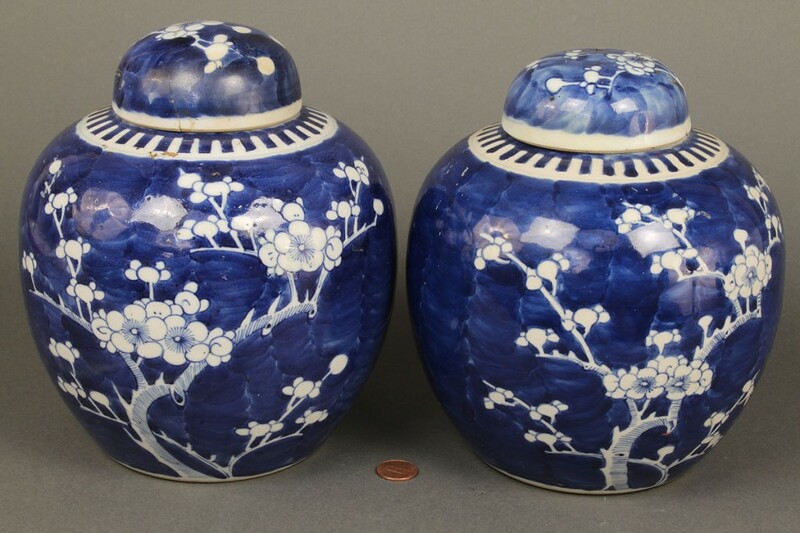 8" H x 6-3/4" D x 4" W at base. 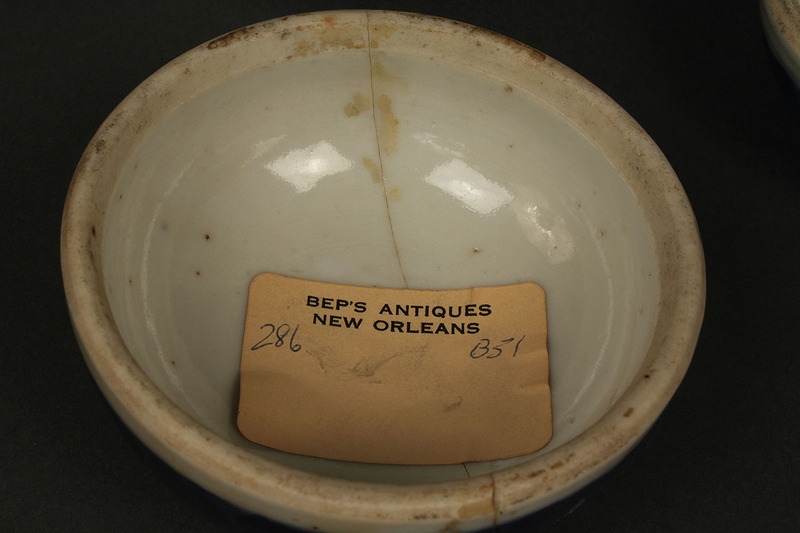 Condition: One lid repaired.